So you designed your application and what’s next? Of course share your app design with design industry. Dribbble and Behance are both best places to showcase your design works. You can showcase your app designs in my ways but nowadays using a perspective screen mock up is very popular especially on Dribbble. 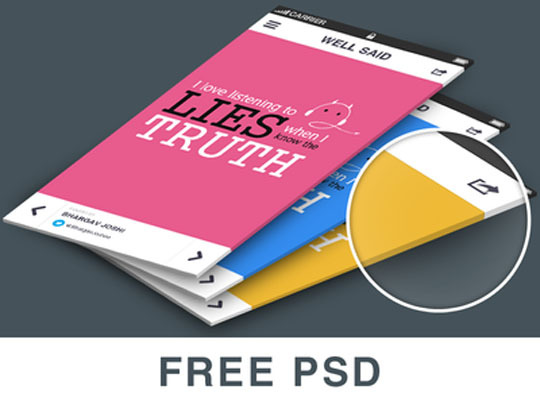 Here on Designbeep we love to share high quality free resources for designers and we again bring together an amazing freebie.Perspective screen mockups. If you don’t have to waste your valuable time to design a perspective screen to showcase your application design then just download one of these mockups. 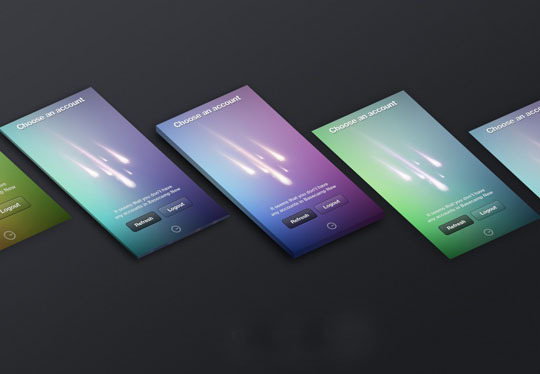 Each of the below perspective screen mockup comes with smart object and all you have to do is to add your app design to the smart object and you’re done! Here is the collection of 15 free perspective screen mockups and a bonus Perspective Mockup Photoshop Action (instruction included). 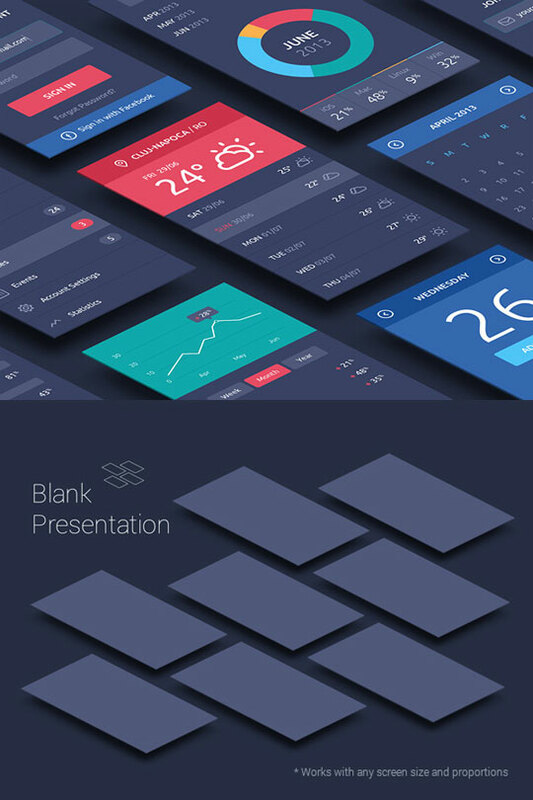 This set of perspective mock-ups allows you to create a nice presentation for your apps and UI projects. Use the smart objects to place your design and feel free to use as many screens as you need. They will fit perfectly thanks to isometric perspective. 4 vertical screens in one shot.Simply add your screen to the smart object and you’re done. This isometric mock-up allows you to add dimension to your designs. 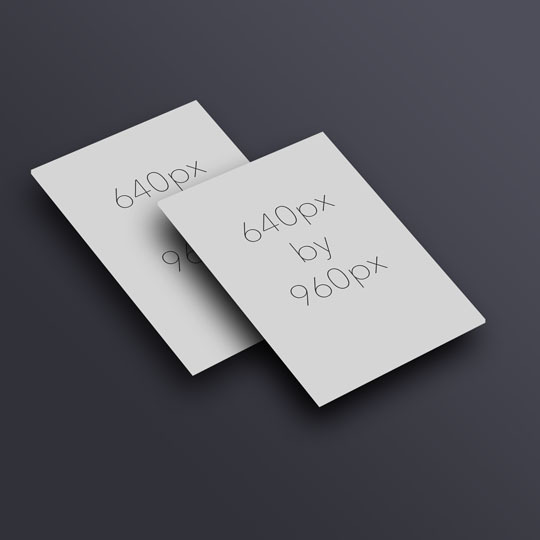 It comes with 3 depth sizes(5 px, 10 px , 15 px) and it’s editable via smart objects. Once you placed your design, you can easily flip it or arrange more elements in a unique layout. It works with every text, shape or raster layer. 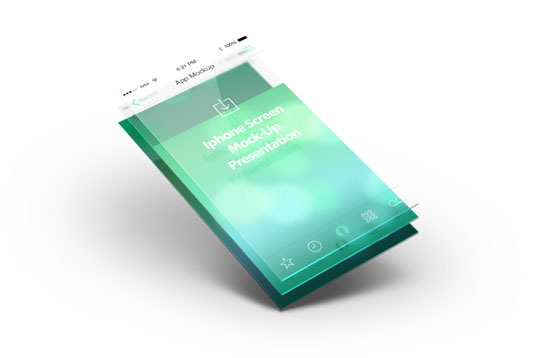 Another perspective screen mockup ideal for your app interface design presentation. 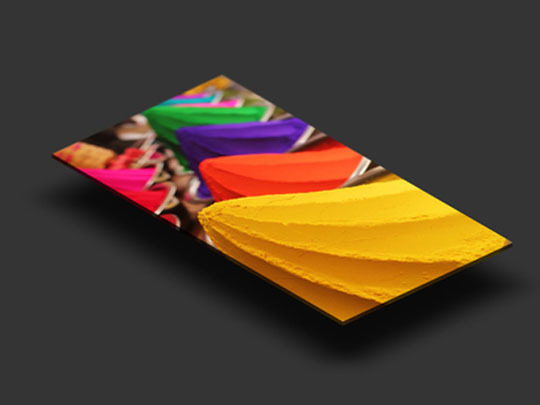 The layer are editable via smart objects, 2 of the 5 screens includes a 3D dept of 8px and 4px. You can toy with the arrangement that fits your need. 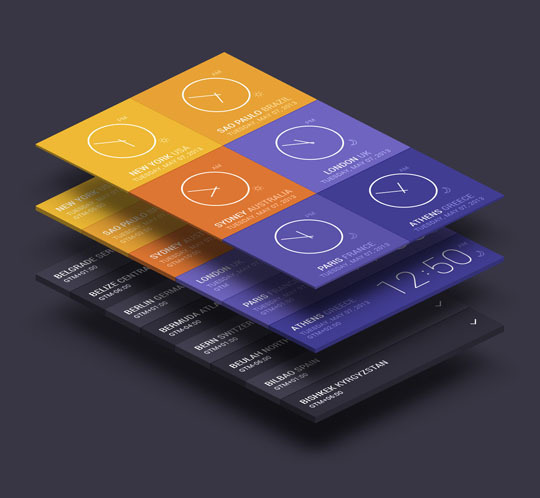 4 app screen mock-up ideal for your app interface design presentation. It comes with 4 screen, and one of the screen had a depth size of 5 px. The layer are editable via smart objects. You can toy with the arrangement that fits your need. 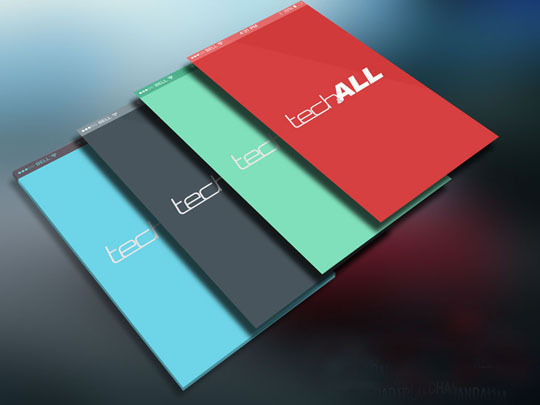 4 app screen mock-up ideal for your app interface design presentation. As the last version it comes with 4 screen. The layer are editable via smart objects. You can toy with the arrangement that fits your need. 4 different PSDs that includes up to 1, 2, 3 and 4 screens in a single shot.It’s very customisable, all you have to do is edit the smart object to include your 640 x 1136px screen and change the background colour to any colour of your choice. 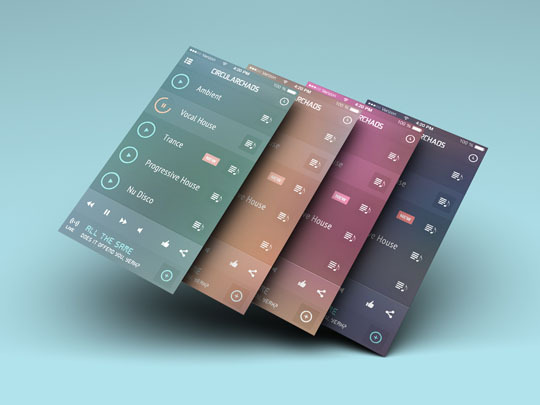 Mobile screen mockup with a transparent glass feeling reminiscent of iOS ans screen visuals.Use the smart layer to show the different levels of your app UI. 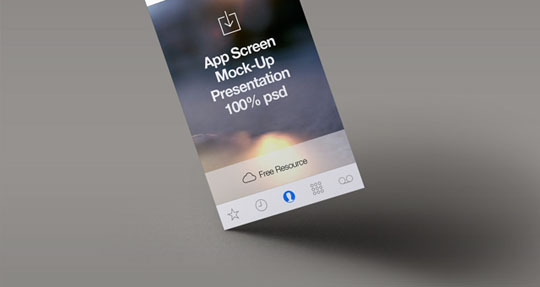 A beautiful and high resolution 3D perspective mockup to showcase your app designs. 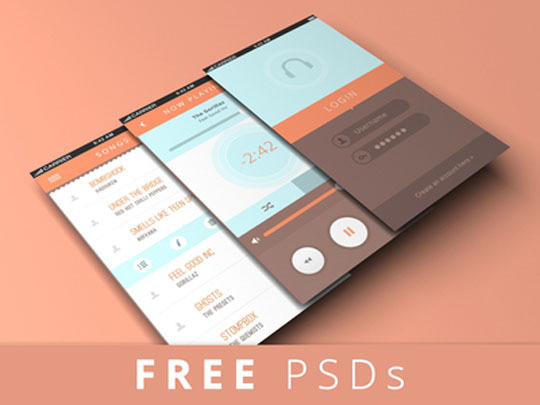 Present your iPhone app UI designs with this trendy perspective screen mock-up pack, including 3 different angles. A new perspective mobile app screen mockup with a transparent glass feeling reminiscent of iOS7 and its contextual screen visuals. Use the smart layer to show the different levels of your app UI. 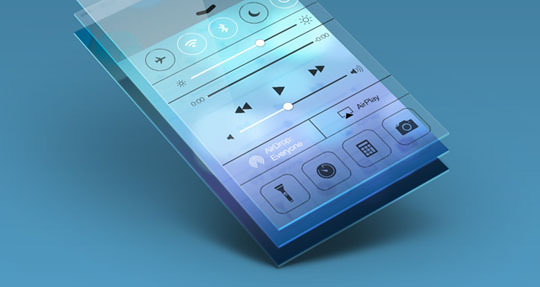 A simple and nice app screen mock-up in perspective with a striking shadow effect to showcase your latest app design. 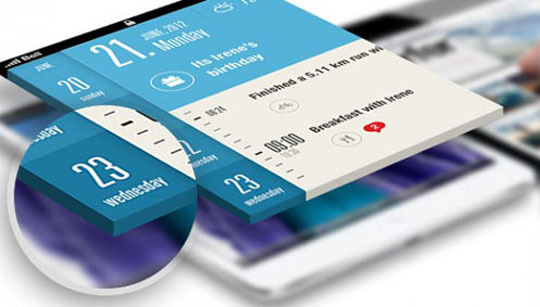 Just use the smart layer to drag and drop any screenshot and display it with our mock-up. 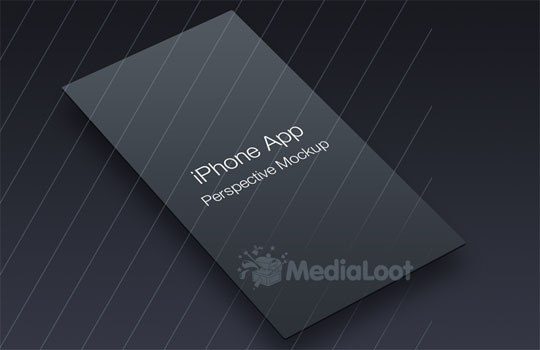 Another perfect perspective mockup to showcase your apps. Cool Photoshop action that automatically mockup your designs, photos and what not into a cool perspective with depth. 3. Run the second action ‘2.0 One up’ then vala!